Our BLACK TX3 Sahara Roof Rails really enhance your Volkswagen T5 Transporter LWB Van. 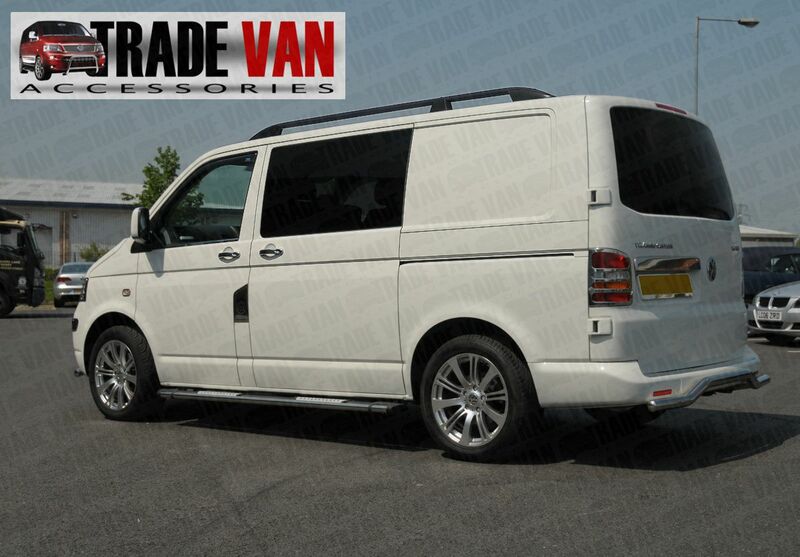 Excellent value for your VW T5 Transporter & Caravelle LWB Van giving an excellent finishing touch. *If your vehicle is fitted with a T-Track system this needs to be removed in order to fit the roof rails. *Does NOT fit SWB or California models, if in doubt please feel free to call our sales team who will be happy to assist! Click the button below to add the Volkswagen T5 Transporter Roof Rails Set TX3 Sahara LWB BLACK to your wish list.